News, Business, Education, Technology, Photography, Inspiration and Online Services. The Independent National Electoral Commission (INEC) is the main agent of democracy in Nigeria. 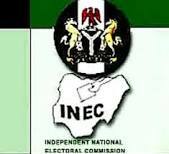 INEC a permanent body created by the constitution to organize Federal and state elections in Nigeria. The Independent National Electoral Commission (INEC) invites applications from suitably qualified candidates for recruitment into the available job vacancies on the INEC Recruitment Portal. · Draft contract agreements, MOU’s guidelines, rules etc. · Perform Election duties and Monitor external counsel and any other duty that may be assigned. · Conducts detailed methods and systems surveys of various operations with a view to applying electronic data processing. · Develop with user department their electronic data processing requirements, workflow, training, etc to implement proper procedure and systems. · Develops procedure manuals of input preparation for electronic data processing system. · Draft and minor design of projects. · Other assignments that may be assigned to the officer. · General data management in respect of a given Registration Area. · Maintains the record of Registered Voters in each of the Polling Units of the Registration Area. · Compiles an Update of Register / Record of voters in the Polling Unit of the Registration Area with respect to deaths, change of residence / Polling Unit, etc. · Identifies the precise locations of each Polling Unit and Collation Center in the Registration Area. · Issues permanent / temporary / duplicate cards to voters as approved. · Manages the RAC during electoral exercises. · Monitoring activities and any other assignment. YOU MUST HAVE SUCCESSFULLY SUBMITTED YOUR APPLICATION by 6:00pm on FRIDAY, NOVEMBER 30, 2012. Expy Multimedia offer HelpMe Pay service or make payments on behalf of Students that want to pay their School Acceptance / Tuition fees online. Thinking about starting an eCommerce business? Why people failed at the DV Lottery interviews? DV lottery Frequently Asked Questions and Answers. Expy Multimedia 2012. Powered by Blogger.